This look is all about blue, baby blue, light denim blue, and skyblue. Blue is one of my favorite colors right now and I am very happy with the amount of blue hanging in my closed right now haha. To make the blue colors really stand out I went for a plain white tee and a brown faux leather skirt. Even my make-up was brown-ish! To me the color combination of this look is just perfect and the golden hour of sundown gave the whole photoseries a sort of seventies feel. I am wearing: a denim blouse by ONLY, plain white tee by Weekday, faux leather skirt from H&M, Furla Yucca shopper and Nike dunk Sky High wedge sneakers. 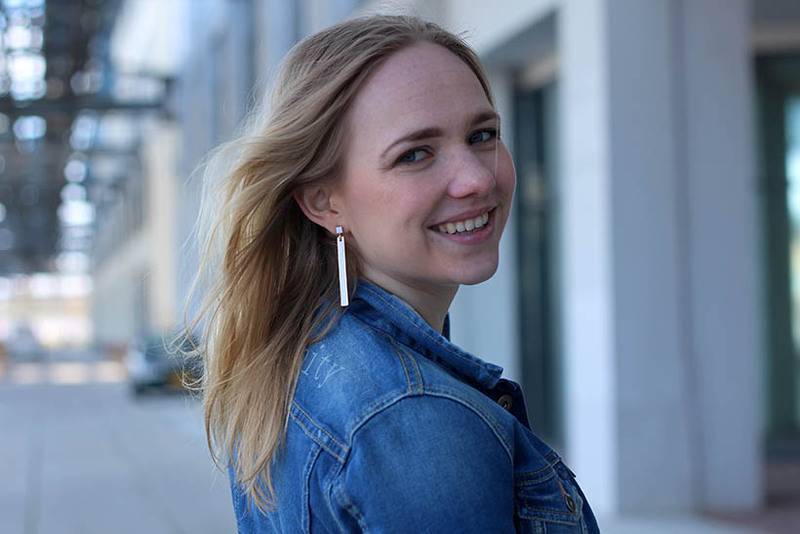 Today I am talking about denim, essential items from denim which everyone should have. For example the denim jacket! Not without a reason I say that Denim is the new black! Denim is timeless as I have learned at the #DenimtheNewIcons event in the designer outlet Roermond! In this outfit I am wearing my personalized Pepe Jeans jacket which I won in a contest from Fashiolista! 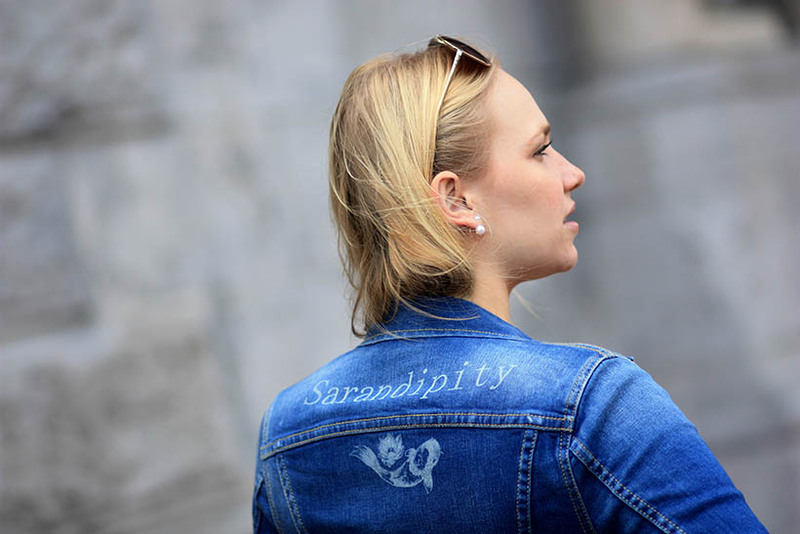 I really love how it states my blog name: Sarandipity and symbolises my personality, the things I am working on or the things I am looking to add more of in my current life. The koi fish represents strength, the power of perseverance, luck and the power to fight setbacks. The lotus flower is a very important flower within the Buddhist and Hindu religions/cultures. To me this special flower, which grows from the mud to the surface, stands for purity, spiritual awakening, growth and faith or faithfulness. With the focus on this special denim item I tried to keep the rest of my look more clean, black. While denim is the new black, we should not forget that black is still a perfect color for a clean and basic look. Black should never be underestimated and the same goes for denim! 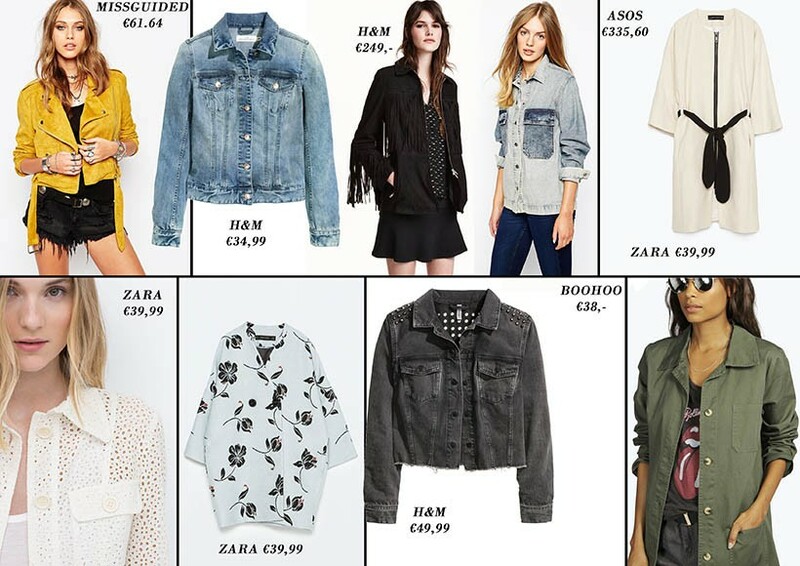 My full look consists out of my Pepe Jeans denim jacket (Thanks to Fashiolista! ), H&M tanktop, H&M pantalon, DUO leatherboots, MARMA Sunglasses, BL’QE Geneve bracelets and IKKI watch. Let me know what you think of my look in a comment!